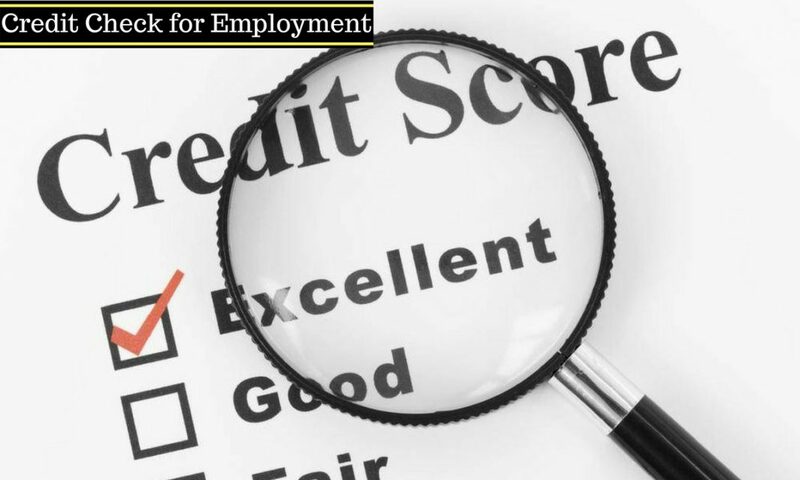 A credit check for employment can be an essential part of any interview process. You’re not being intrusive. You’re looking for possible challenges that can result in problems for your business. And, it’s your responsibility to protect your business against these situations. Become an expert at safeguarding your business. I believe these tips will help you. You can never be too cautious. A credit check is a perfect way to confirm general information. A credit check can even pick up on name changes and previous residences. You can quickly see whether a resume includes any blatant lies. Enquire about someone’s reason for changing names or homes and learn more about the person. The person may be incapable of planning ahead. What if the salary you offer won’t cover the person’s monthly debt? He or she may be tempted to steal from your business to cover the debt. Someone refuses to take up responsibilities. Someone doesn’t correspond with the creditor. If someone keeps making bad debt he or she has bad habits they can’t overcome. When you implement new tactics in your business these workers will find it difficult to adjust to reach goals. A credit record can show how someone handled debt. If they managed to pay off debt and stay debt free they can handle challenges and learn valuable lessons. This is the type of person you want to employ. One overdue account is understandable. Life can be unpredictable and mistakes happen easily. But what if someone has many overdue accounts over a long period of time? This shows a lack of planning. Do you want someone working for you that doesn’t think of consequences? The applicant will understand your reasoning. This will make it easier for him or her to give you permission. Discussing the topic gives the applicant an opportunity to confess challenges or past mistakes. If applicants are honest during interviews they’ll probably be honest in future too. When applicants confess huge challenges—such as gambling—it will save you time and money. If this information makes him or her an unlikely candidate there’s no reason to do the background check. You’ll know which employees face financial challenges. This creates opportunities for management to assist employees and build strong relationships with them. You can see which employees cultivate bad habits. You can’t dismiss someone on the basis of a credit record. But you can use the information to make business decisions. Don’t let people manage business budgets when they can’t manage their personal finances. Determine which employees are most suitable for promotions. If the new position entails handling finances promote someone that showcases natural skill for the task. Can you see a credit check is a helpful tool for vetting applicants? How sure are you the credit check contains accurate information? You don’t want to lose out on an excellent employee because of a mistake. You need a relevant, true representation of the candidate. How can you guarantee this? Don’t make important decisions based on inaccuracies. Employ a reputable company to do a credit check for employment. Information can easily be falsified. Expert companies know how to cross check information so you’ll receive a detailed and accurate report. Even confirmed facts don’t tell the entire story. Accurate information requires research, confirmation and cross checks. These activities all take time. Mistakes are made when a process gets rushed. Allow professionals to take their time before submitting a report. Yes, I know you want to fill the position as soon as possible. A lack of employees influences your productivity. But your business may lose money and resources if you employ the wrong individual. Don’t simply request feedback on everything. The more you want to know the more time and money it requires. Only obtain relevant information—and at a decent price—so you can continue with the interview process as soon as possible. What exactly does a credit check tell you? If you scan the report quickly you’ll miss valuable information. A credit check for employment teaches you about a person’s values. The person will apply these same values in your business. This is essential if the position relates to money, budgets or even stock. If you want to protect your business you must think of any eventuality. A credit check shows where legal action was taken. You don’t want your employees to damage your reputation. If the applicant uses these tactics in your business it can cause problems with colleagues or clients. Don’t let someone’s criminal record taint your business’ reputation. When others find out you employ criminals they may think you follow corrupt business practices too. Is it only about finding out about people’s financial acumen? A credit check for employment can become a dynamic vetting tool. You can’t do a credit check without the person knowing about it. Law requires written permission from the person being investigated. It’s never easy talking about money. During a first interview, you have to broach the uncomfortable subject of someone’s credit history. Can you see how a simple guideline becomes a dynamic vetting tool that benefits your business? Should You Repeat the Check? How much do you trust your long-time employees? Unfortunately, problems can appear at any time during a person’s life. Use the truth to find the right employees and perpetuate trust between everyone. Remove the stigma around credit checks for employment. It’s the perfect tool to help find the best candidates. This protects your business but also promotes a healthy working environment. You can build honest relationships with all your employees. This will make your business flourish. Laura Greene is one of the content managers for TrustedEmployees – creative people who provides businesses, non-profits, and volunteer organizations with a tailored and compliant approach to background screening through personalization, innovation, and dedication. Previous articleHow to Write a Resume for the First Time? Next articleText or Visual Resume: Which One Grabs Recruiter Attention?